SEOUL, Feb. 16, 2014 — LG Electronics (LG) will be unveiling the third generation of its popular L Series smartphones at the Mobile World Congress (MWC) 2014. The L SeriesIII devices retain LG’s distinctive minimal design philosophy while boasting an impressive package that includes enhanced hardware, UX features and OS unmatched in its class. 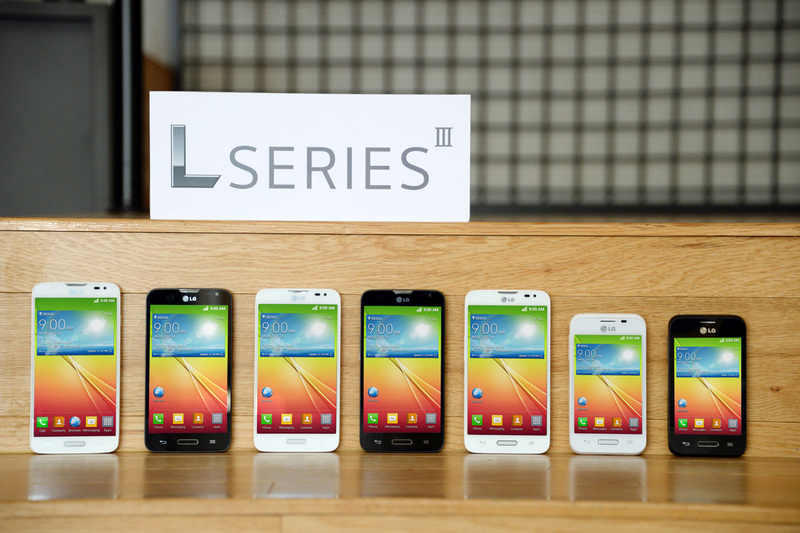 With the original L Series and L SeriesII having enjoyed tremendous success worldwide, the L SeriesIII is expected to continue the momentum with its handsome design and practical user benefits inspired by LG’s more premium G Series. Key elements of LG’s design heritage can be found in all facets of the visually striking L SeriesIII smartphones. The seamless layout, delicate finishing, refined metallic frame and Quick Window smart cover all come together perfectly in the L SeriesIII. Quick Window, which comes in three vibrant colors, is the first cover from LG to be designed specifically for a mid-range smartphone. Quick Window also offers functional benefits beyond just protection from drops and bumps, as the see-through window allows one to see who’s calling and check the time without opening the cover. All L SeriesIII models come with Android 4.4 KitKat, making them further stand out in the mid-tier market. LG has equipped the entire lineup with Google’s latest OS in order to provide the most up-to-date and optimized Android experience to a larger audience. In addition the refined UI that’s more beautiful and immersive, KitKat offers improved performance and a more intuitive user experience. Visitors to MWC 2014 can experience the first three L SeriesIII smartphones — L40, L70, L90 — firsthand at LG’s Booth in Hall 3 of Fira Gran Via.